Here in the Tampa Bay area, it isn’t uncommon to have one or more hurricanes sweep through our city between June and November. While most of us are familiar with battening down the hatches and have memorized surrounding evacuation routes, one of the least considered items are preparing pool for a hurricane. Check the water level. DO NOT drain the pool. If you are going to reduce the water level, make sure that you close your skimmer valve. This will prevent any damage to the pump when the power is restored. Add some extra chlorine. The additional chlorine you add before the storm sweeps excess debris and rain water into your pool will go a long way in preventing contamination. 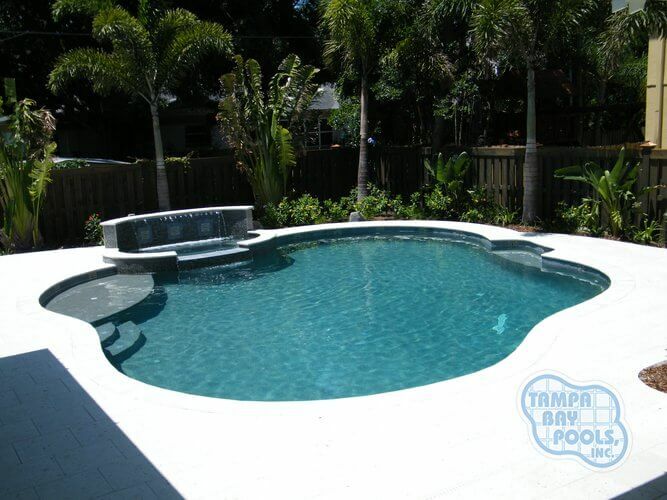 Turn off all electrical power to your pool at the breaker and gas supply at your meter. Your pump, motor, lighting, chlorinators and other equipment should be completely shut off. Waterproof your electrical pool equipment. Any pool equipment that is exposed to the elements should be removed and stored if possible. Alternatively, make sure that a waterproof membrane or a plastic bag is secured over top of your equipment. Put away all loose items. Toys, skimmer lids, tables, chairs and other items around the pool can all become dangerous and even deadly projectiles when the high hurricane winds hit. Store them inside a secured area and do not toss them into the pool unless that is your only option. If you have time, consider trimming branches and limbs of trees which you suspect may become airborne. Do not cover the pool. High winds can potentially rip that cover right off of your pool, and falling branches or other debris can damage it. If you have already closed your pool for the winter, use the hose to add some extra water on top of your solid cover and water bags to secure the edges. If you have an above ground pool, hang weights and use wall bags or cover clips. If your pool is enclosed or screened, remove a couple of mid-level panels above the hair on each side so that the wind can blow through without resistance. This can help prevent costly damage. Remove debris from your pool. Use a rake and a skimmer to get rid of any branches, leaves and other debris before you restart your pool system (this will go a long way in preventing clogged lines). If you have a chemical feeder, remember that they require special attention prior to starting the pump motor. Remove any waterproofing material from your electrical equipment. If your motor has been submerged, take it to a professional to be properly cleaned and dried. Superchlorinate your pool. Heavy rain will upset the mineral balance necessary to protect the equipment and the finish of your pool. When your chlorine residual returns to normal levels, test the water for proper balance or take it to a professional pool company to do it for you. Run your equipment. The last step to preparing pool for a hurricane is making sure that the pump is operating properly and that water is circulating in your pool. Continue to run your filter until the water is crystal clear, and then all that’s left to do is to slip into the refreshing waters of your pool!